● Need a fun and safe environment for your children to spend quality time outdoors getting physical activity? ● Check out the largest selection of Playsets, swing sets and play equipment in Northern California! ● Don’t think you can fit a play structure or swing set in your backyard? ● No room, no problem! Backyard Fun experts can make it work for your family with just about any size yard! With decade’s worth of experience dealing with Northern California’s compact backyards our modular designs allows us to add, delete, re-configure and even customize options to safely fit a play set in those most unusual spaces. 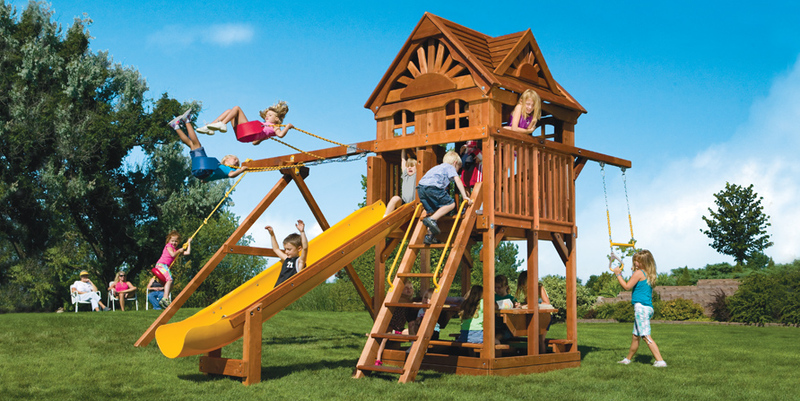 ● Over 100 models of swing sets and play sets to choose from. ● More than 25 years of experience! 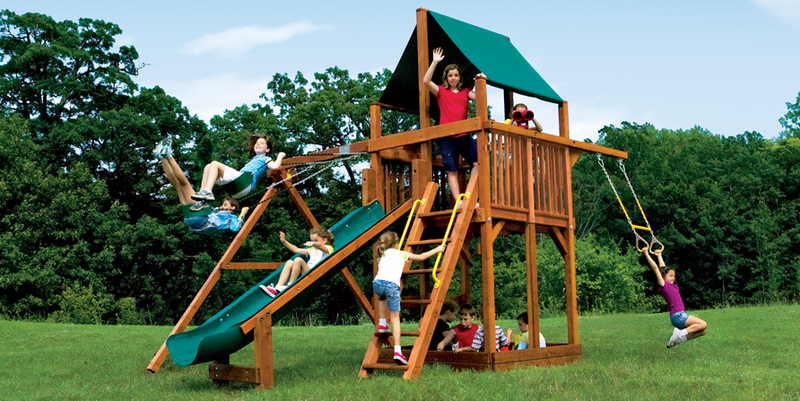 ● Our play sets made by Rainbow Play Systems are the finest residential and commercial playsets! ● Enabling kids to role play, transport themselves to fantasy worlds! ● Thousands of families are playing on Rainbow Play Systems safely! Stop by one of our showrooms in Santa Clara, Danville or Sacramento to see and test our vast array of swing sets and other playground equipment. Our playsets and wood swing sets are made from the highest quality materials and are backed by industry leading warranties. ● Lasting through years of hard play! ● Simple steps to design your perfect play set for any size yard. ● Easily create your own custom design for your family and home. First step, select one of our castle swing set or clubhouse swing set series. 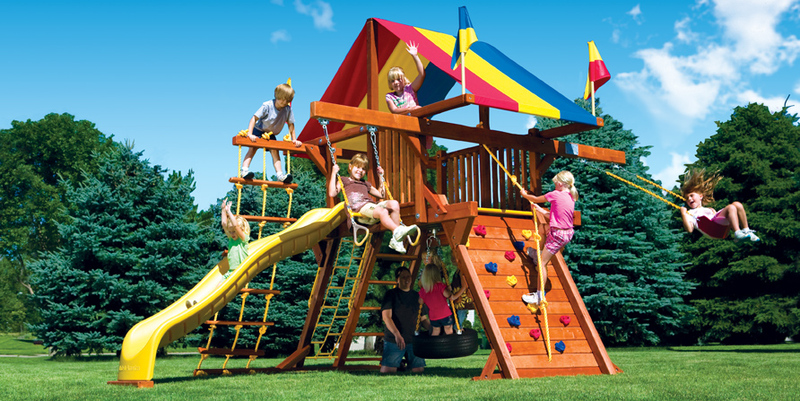 Rainbow Play Systems offers different sizes and style options for your castle or clubhouse swing set structure ranging from the compact Fiesta swing sets to the enormous, fully-loaded with endless options and add-ons King Kong swing sets and everything in between. Not seeing what you would like? 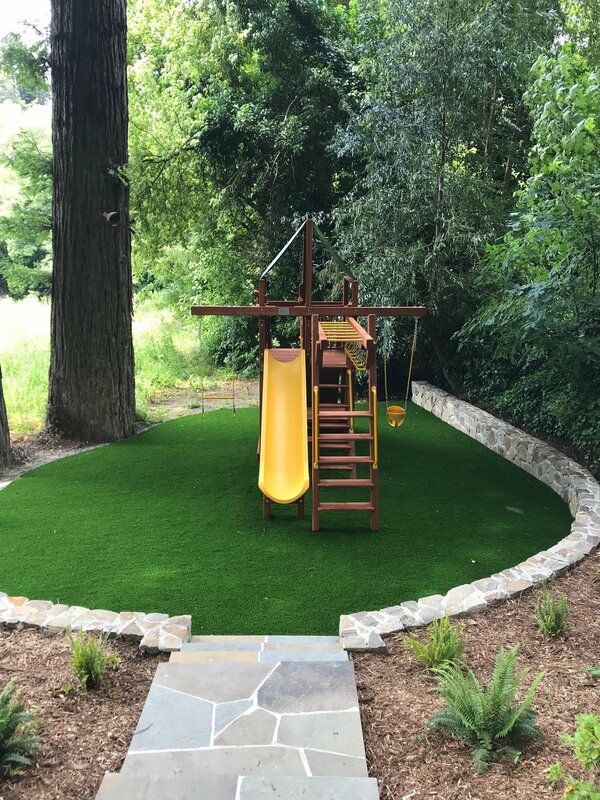 Go to our catalog, call or visit us and we'll create the perfect play system to fit the needs of your family and your yard.